Santa Claus is coming to town! No matter your religion, if you live somewhere other than the depths of the Amazon rainforest, you have heard of a jolly older gentleman named Santa Claus (although it is possible that Santa Claus has reached those sultry depths by now). Or perhaps you know him by his aliases, Saint Nicholas or Father Christmas. You may also know that Santa (he's on first name basis with his friends) lives at the North Pole with his wife, Mrs. Claus, and countless elves who build toys year-round to deliver to good children all over the world via reindeer-pulled sleigh. (If you've been bad, you'll be lucky to receive a lump of coal rather than a birch switch...) You can probably pick Santa out in a crowd: a bright red suit trimmed with white fur, impressive physical bulk (although considering all the treats and tipples he consumes, he's practically svelte), an splendid white mustache-beard combination that strikes a nostalgic chord. But Santa's image, cherished for years, is actually a composite of several traditions from different regions of the world. Look, we're not saying that Santa isn't real (what is “real,” anyway? ), but he certainly did not spring fully-formed from the ice packs in the North Pole, intent on bestowing upon you the latest iPad (you have been very good this year). 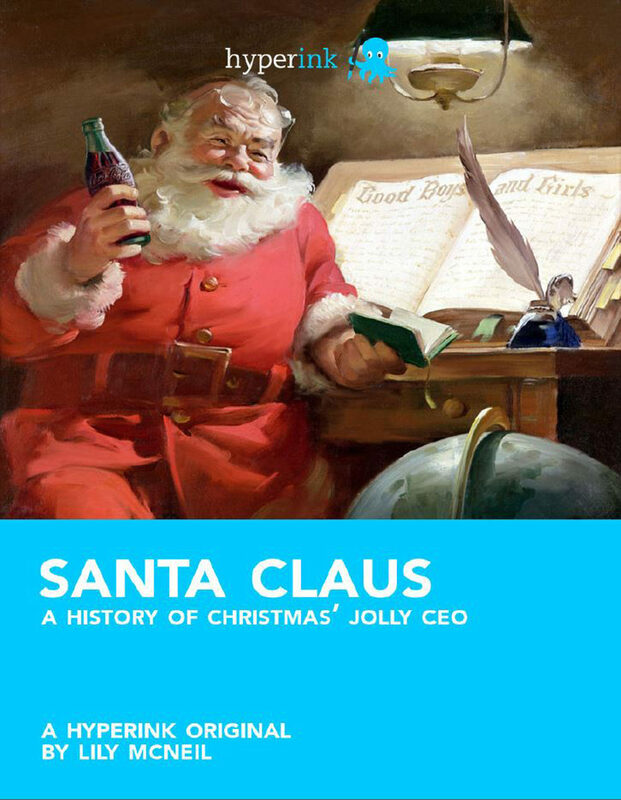 Santa has had quite a history and boasts quite the résumé: representing modern drink companies, living in medieval Italian cities, collecting funds for charity, and fulfilling the inventory for the wish lists of millions of children. He has been at the forefront of the so-called “War on Christmas” and served as a symbol of peace and goodwill, both domestically and overseas. Otros ebooks de Lily McNeil.